Posted on March 21, 2019 by Shaun OConnor in KnickersBoxersGlory and tagged KnickersBoxersGlory, Licensed, Onesies, Trolls 'Big Dreams' Fleece Onesie - Age 9/10. Posted on March 21, 2019 by Shaun OConnor in KnickersBoxersGlory and tagged KnickersBoxersGlory, Licensed, Onesies, Trolls Fleece Onesie - Purple/Pink. Posted on March 21, 2019 by Shaun OConnor in KnickersBoxersGlory and tagged KnickersBoxersGlory, Licensed, Onesies, Trolls Fleece Onesie - Purple/Pink Age 4/5. Posted on March 21, 2019 by Shaun OConnor in KnickersBoxersGlory and tagged KnickersBoxersGlory, Licensed, Onesies, Trolls Fleece Onesie - Purple/Pink Age 5/6. Posted on March 21, 2019 by Shaun OConnor in KnickersBoxersGlory and tagged KnickersBoxersGlory, Licensed, Onesies, Trolls Fleece Onesie - Purple/Pink Age 7/8. Posted on March 21, 2019 by Shaun OConnor in KnickersBoxersGlory and tagged KnickersBoxersGlory, Licensed, Onesies, Trolls Fleece Onesie - Purple/Pink Age 9/10. Posted on March 21, 2019 by Shaun OConnor in KnickersBoxersGlory and tagged KnickersBoxersGlory, Licensed, Onesies, Toy Story Fleece Onesie. 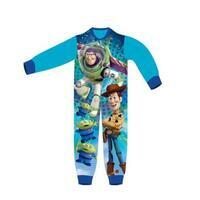 Children’s microfleece all in one sleepsuit with a printed Toy Story design on the front. 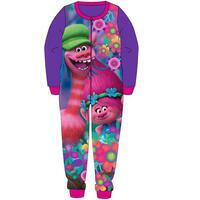 The onesie is an official licensed product, with ribbed cuffs and ankles, and a zip up front. 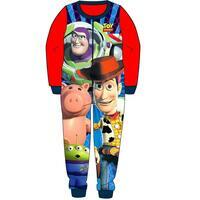 Posted on March 21, 2019 by Shaun OConnor in KnickersBoxersGlory and tagged KnickersBoxersGlory, Licensed, Onesies, Toy Story Fleece Onesie - Blue. Posted on March 21, 2019 by Shaun OConnor in KnickersBoxersGlory and tagged KnickersBoxersGlory, Licensed, Onesies, Toy Story Microfleece Onesie Age 18 Months/2 Years. Posted on March 21, 2019 by Shaun OConnor in KnickersBoxersGlory and tagged KnickersBoxersGlory, Licensed, Onesies, Trolls 'Big Dreams' Fleece Onesie.